It’s starting to get chilly, so it’s time to bundle up! Gloves are must during the winter and they are a fantastic opportunity to add even more style to our daily outfits. There are three classic glove lengths: matinee (wrist), elbow, and opera (all the way up to the bicep!). The fashion history of gloves has been strongly tied to the elite social classes. In the 17th century, glove styles connoted the wearer’s wealth. Today, longer gloves are still associated with prestige. If you’re feeling down about most of your outfit being covered up by a coat, gloves are an easy way to add a dash of flare and still turn heads on the street! There was a tremendous amount of variety of styles within the glove trend. This season, designers made their mark with bright original colors. 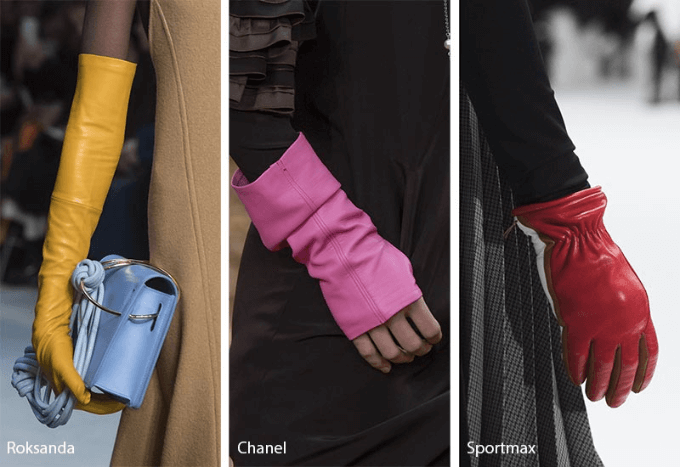 While gloves are more traditionally neutral colors and not a particularly exciting detail of a winter outfit, the gloves at the Roksanda, Chanel, and Sportmax shows were a breath of fresh air. This adventurous choice is a pleasant surprise that adds a dimension of fun to the elegant accessory. 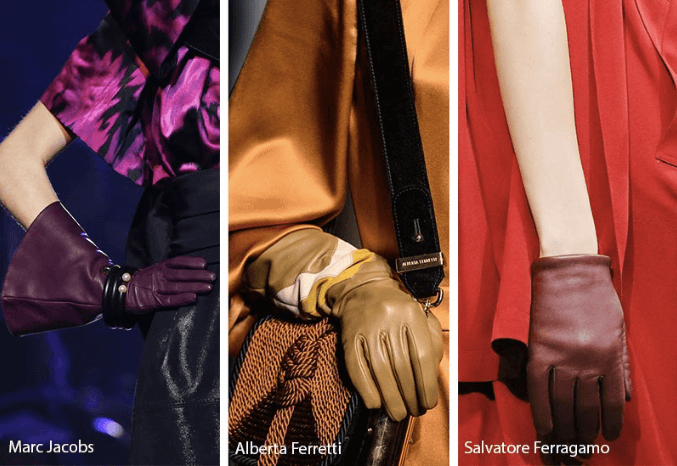 Some designers, such as Marc Jacobs, Alberta Ferretti, and Salvatore Ferragamo took a more classic approach to the glove trend, but still incorporated unique detailing. Marc Jacob’s flared gloves looked amazing with layered bracelets overtop. If you are going for a more sophisticated and glamorous look, consider a longer glove. Audrey Hepburn’s iconic first look in Breakfast at Tiffany’s is a perfect example of an elegant long glove. 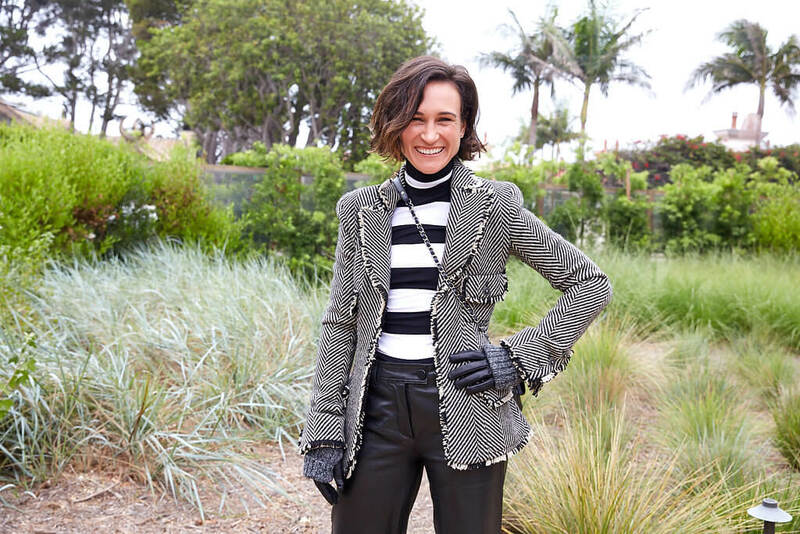 A long glove can also be layered on top of a long-sleeved blouse for when it’s cool but not cold out. For a bolder look, choose a bright glove at any length to coordinate with your outfit. 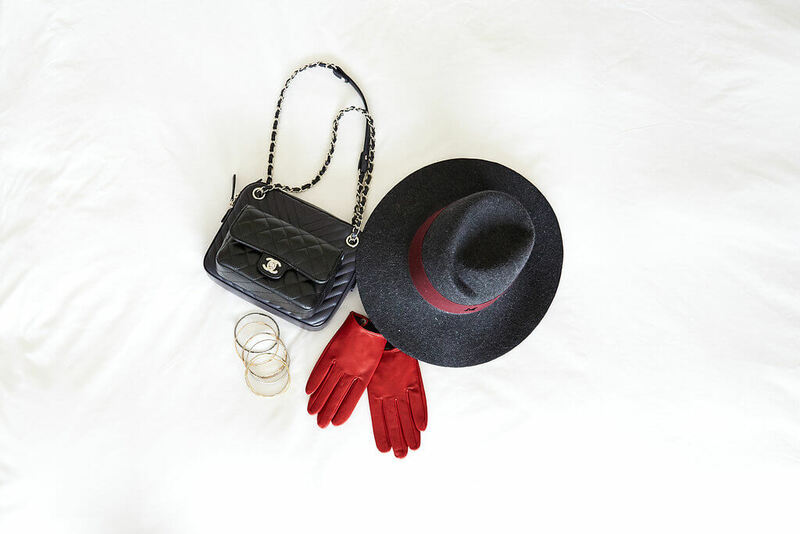 You can match your glove color to another piece in your outfit, such as a hat or a scarf for a more uniform look, or you can use them as a statement piece! We also love the idea of layering jewelry overtop of your gloves. Chunkier bracelets will fit better overtop of a glove. This classy accessory is a wonderful way to pull an outfit all together. Make the most of this practical accessory this fall!